Beyoglu is one of the first neighborhoods when it comes to reflecting the cosmopolite culture of the Ottoman Empire. The streets of Beyoglu started to become more lively, especially after the second half of the 19th century and these streets are as colorful as ever. As Beyoglu was the center of embassies, theatre halls, luxurious hotels, and business centers, these developments contributed a lot to Beyoglu’s neighborhoods. 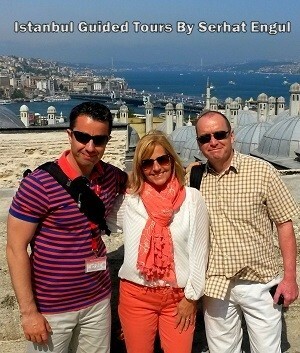 Today, such places in Beyoglu as Karakoy, Galata, Cihangir, Pera, and Istiklal Avenue are still popular. Moreover, being the melting pot of various cultures created its unique food culture too. And tons of restaurants in Beyoglu still keep this rich culture alive all around the neighborhood. In this post, I’ve listed the best restaurants in Taksim (Beyoglu) for the visitors who plan to enjoy some magnificent food. I hope you will have an unforgettable experience. After parting ways with the meyhane named Cavit and opening a new place as a wine house at the beginning of 2000s, Asmali Cavit has become one of the best representatives of meyhane culture. Its roasted spinach beet, marinated haddock, brain salad, and yaprak ciger (fried sliced liver) are among the most delicious options at Asmali Cavit. Also, you shouldn’t forget to taste Asmali Cavit’s little meatballs that should be dipped in its special sauce. This is a family business which is managed by Mr. Cavit. His daughter and nieces help him run the place. It’s located right in the middle of Asmalimescit and opposite to Yakup 2 and the second floor of Asmali Cavit is really spacious. 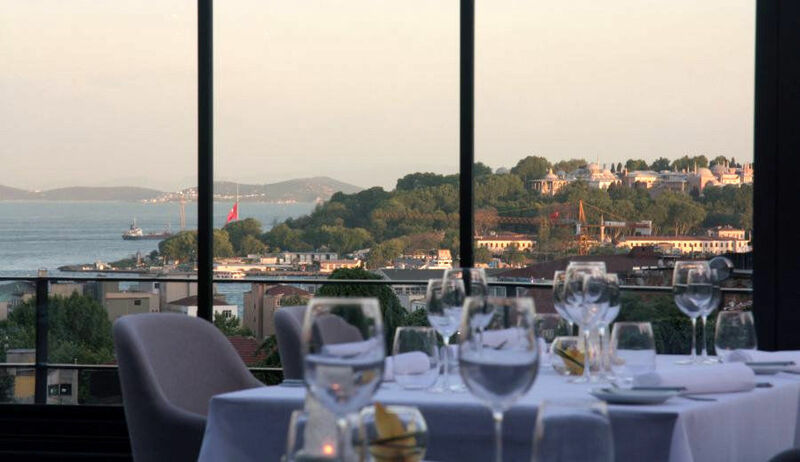 Mikla was opened to represent an “Istanbulite” restaurant in 2005 and it’s among the best restaurants in Istanbul with the view and modern presentation of food it offers. And the restaurant initiated a successful “New Anatolia Kitchen” concept and brings a new approach to how Anatolian food is cooked. At Mikla, à la carte menu of 3 steps is served and the menu is composed of starters, main courses, and desserts. Moreover, a tasting menu of 7 steps is offered too. With its continually updated menus, Mikla maintains its high quality and delicious food standards. You can try specialties like lamb heart, whole-wheat manti, and Iskenderun shrimp as well as light desserts such as cherry-goat cheese. Karakoy Lokantasi is located on Karakoy’s famous Kemankes Street and it’s both meyhane and restaurant that is open till 12:00 every night. It’s an ideal place to meet friends for drinks and have lunch or dinner. The menu at Karakoy Lokantasi is really rich. You can find a dish for any taste, be it boiled tongue, smoked anchovy, fried chicken, fried lamb, fish or pork rib. 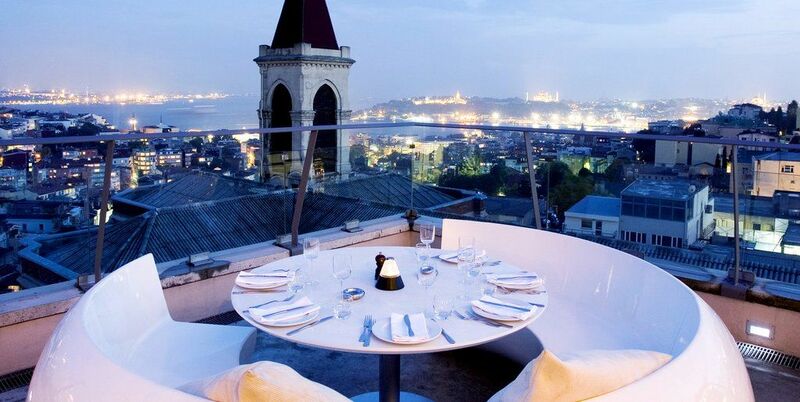 360 Istanbul is located on Historical Misir Apartment in Beyoglu and it is included in the best restaurants of Istanbul with its location, the view it offers, and different cocktails. 360 Istanbul has been awarded numerous times thanks to its rich menu and it’s one of the prominent places where you can enjoy your cocktail while you can listen to great music and experience a marvellous Istanbul view. In addition to its cocktails, you can try different dishes from local kitchens such as lentil meatballs, kibbeh, hummus or delicacies like roast duck with cherry and green risotto with sausage from the world kitchen. 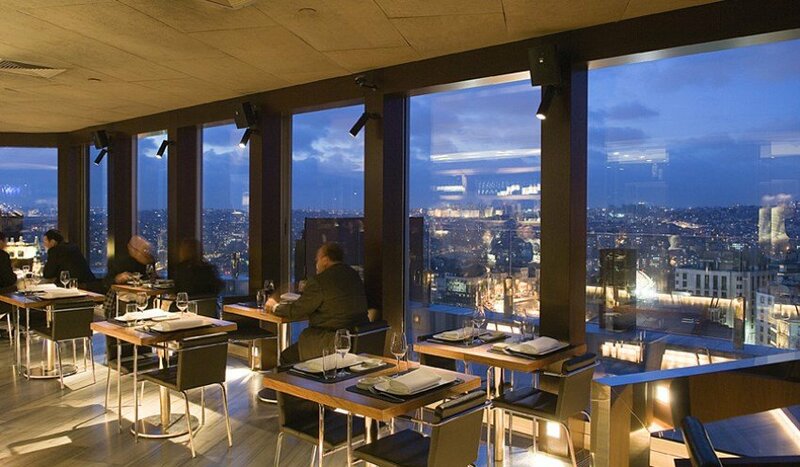 At the same time, 360 Istanbul is one of the popular spots of the nightlife in Istanbul. 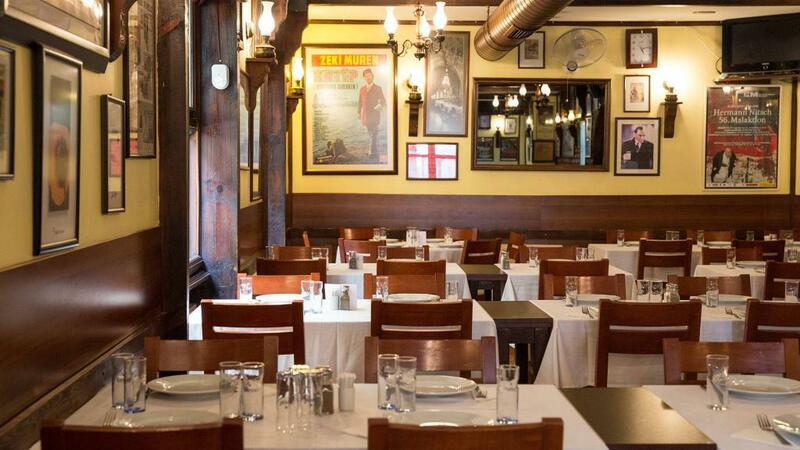 Haci Abdullah Restaurant moved to its place on Sakizagaci Street next to Aga Mosque in Beyoglu in 1958 and it derives its name from Haci Salih and Mr. Abdullah, the two chefs from the Ottoman era. The chefs that were trained by Haci Salih has managed the restaurant after his death and it’s one of the rare restaurants where you can find classical Ottoman dishes like pilaf with vermicelli, elbasan tava (a dish made with lamb and rice baked with yogurt and eggs) and desserts like hashish dessert. Haci Abdullah is definitely one of the best restaurants in Taksim area. 9 Ece Aksoy has been in service for 2 years at Asmalimescit and with its original style, it quickly grabbed itself a place in the list of best restaurants in Beyoglu. Here, you can find unique dishes such as fried tomatoes with spicy sauce or rooster marinated with wine. Also, its wine menu is worth taking a look at too. 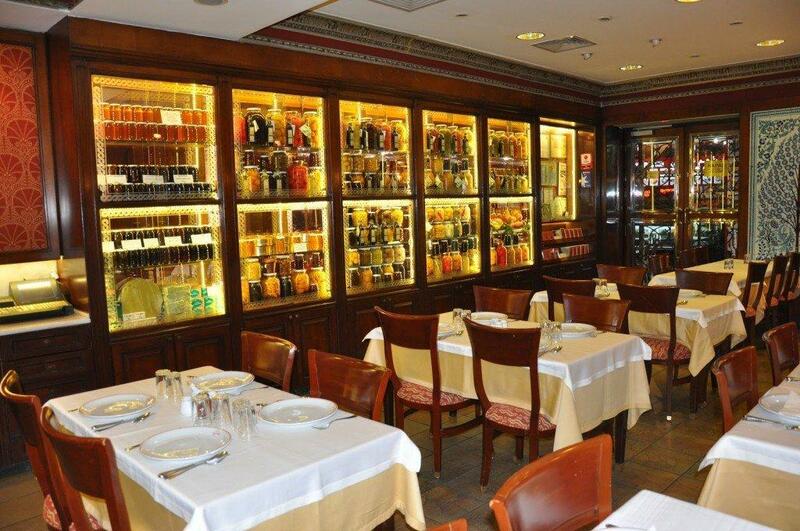 We highly recommend 9 Ece Aksoy as it offers delicious food and original style. Ficcin is a place where you can have breakfast and lunch. Therefore, it’s a popular place among workers. In evenings, Ficcin serves as meyhane. In its menu, you can try Circassian manti and Circassian chicken if you like Circassian food. Moreover, its appetizers made with fish are really delicious. Additionally, its unique delicacies such as Chinese chicken should not be missed, either. You should also note that different set menus are offered for lunch meals at Ficcin. Overall, we can easily say it’s one of the best restaurants in Beyoglu and you can watch the passers-by on Istiklal Street while you enjoy your dinner at your table on Kallavi Street. 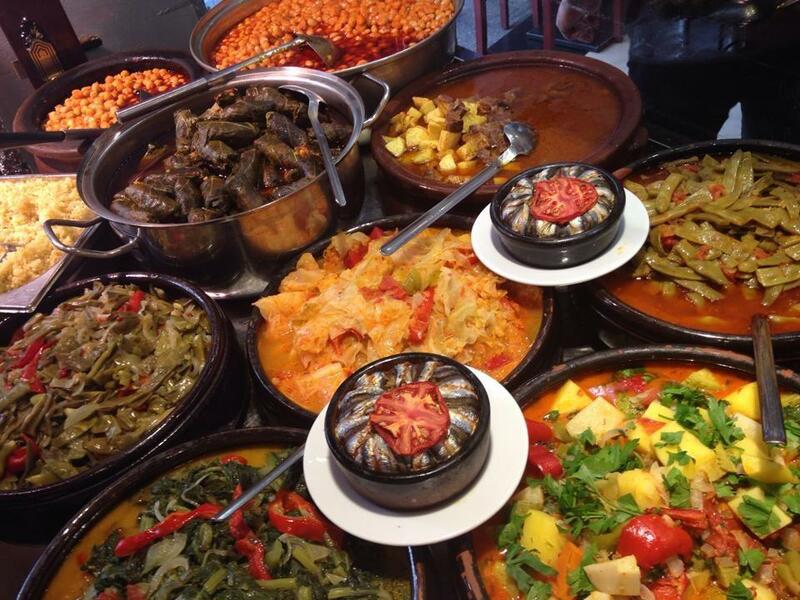 Where to Eat the Best Turkish Food in Taksim? Hamit and Zubeyir brothers, who have been in food&beverage business since 1986, opened Zubeyir Ocakbasi in Taksim in 2006 and it has become an important name of meat restaurant culture in Istanbul. 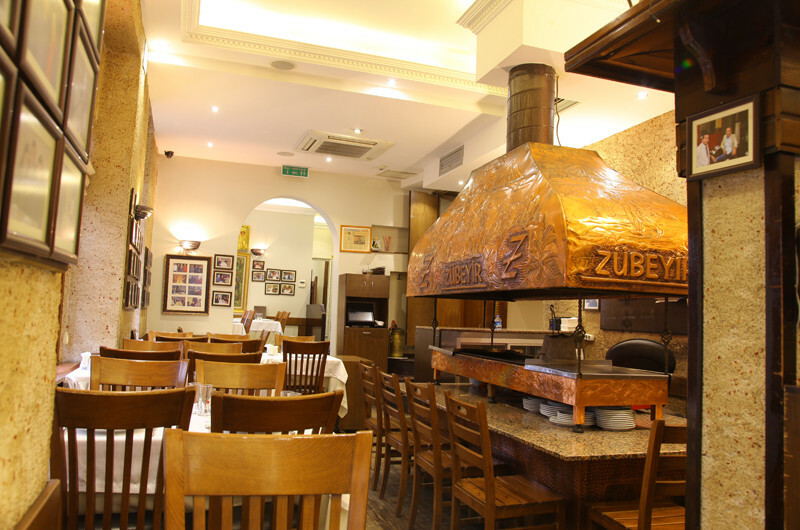 Thanks to the 10 years of experience of its owners, Zubeyir Ocakbasi offers both traditional and original dishes. Chef Hizir founded Havyore, which means “I am here” in Laz language after he managed restaurants and cafes for 15 years. 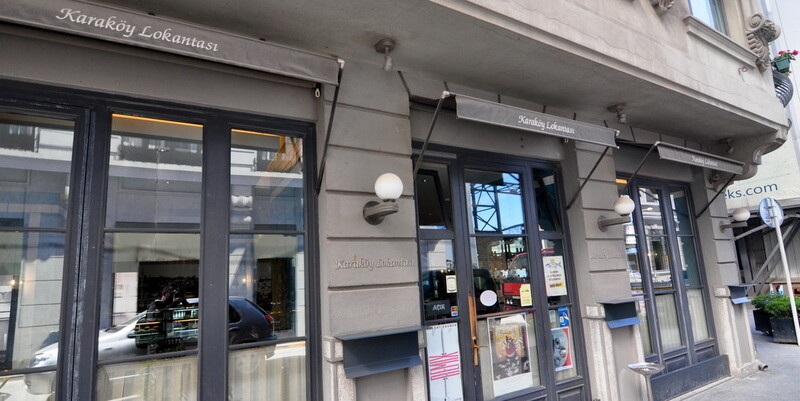 It is located on Istiklal Avenue and Havyore is a place where you can enjoy dishes from Black Sea kitchen. In its menu, you can try beans, omelet with anchovies, pilaf, laz boregi (a dessert made with milk, vanilla, butter on layers of pastry), and baked rice pudding. And we can say that it has a lot of regulars who enjoy these Black Sea delicacies. 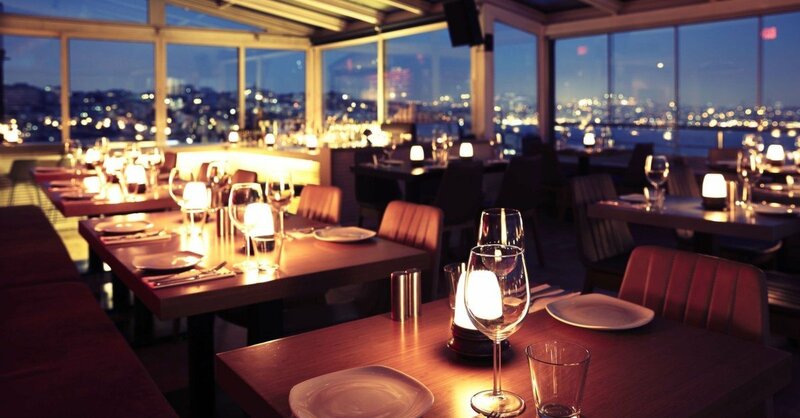 Therefore, if you want to try Black Sea kitchen, we highly recommend you to try Havyore on Istiklal Avenue. As its name suggests, by overlooking the sea, Leb-i Derya is located on Kumbaraci Yokusu and it comes forward with its delicious appetizers such as Madame Nazen’s topik (chickpea and potato ball), marinated beetroot with cumin, mackerel with thyme, and gypsy salad. Additionally, if you are a seafood lover, its warm starters are definitely worth trying. Stuffed baby calamari, grilled whole Ayvalik calamari, fish meatballs, and bean salad with mussels are some of the starters that you can taste. If you want fish as your main course, it depends on the season, but if you opt to have beef, you can go for rib steak at Leb-i Derya. Cafe Krepen, which was opened at Halep Passage and served its customers since 2008, turned into Munhasir Doner & Kebap in 2014. 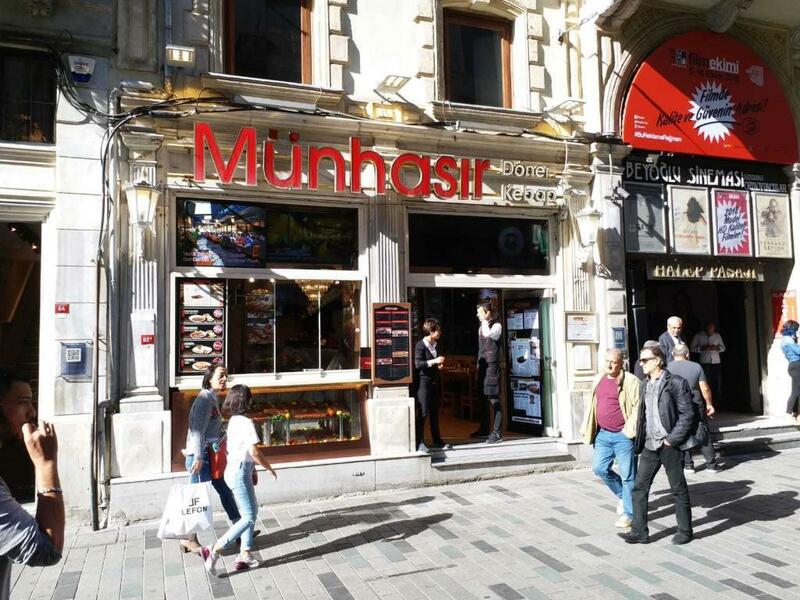 Delicious dishes at Munhasir Doner & Kebap have made this restaurant one of the must-visit places especially if you are a meat lover. And, therefore, it’s a highly popular place among both local and foreign visitors. In its menu, you can find doner on pilaf, doner on a plate or Iskender kebab. Moreover, Adana kebab, Urfa kebab, and walnut kebab are some other items you can try here. 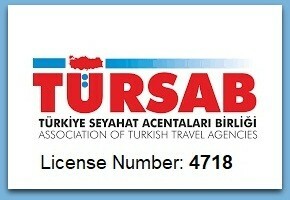 Where to Eat the Best Doner in Taksim? Nicole Restaurant is located on the terrace of Tomtom Suites and it offers a majestic view that includes the garden of the Embassy of Italy and even the Princes’ Islands. The restaurant derives its name from the manager of the building, Agnès Marthe Nicole, in which members of the Franciscans treated the sick. And there are 3 menu options in Nicole Restaurant, which are Discovery, Nicole, and Nicole 5. Nicole Restaurant draws attention with the dishes made with local and seasonal ingredients and château style wines. The chef of the restaurant is Aylin Yazicioglu, who received her training in Paris and Spain. Asparagus is included in all of its menus and calamari, duck and the fish of the day are some of the items in the menus and you can have a sweet ending with a delicious dessert. Nicole Restaurant is open from 18:30 to 21:30 every day except for Sundays and Mondays. 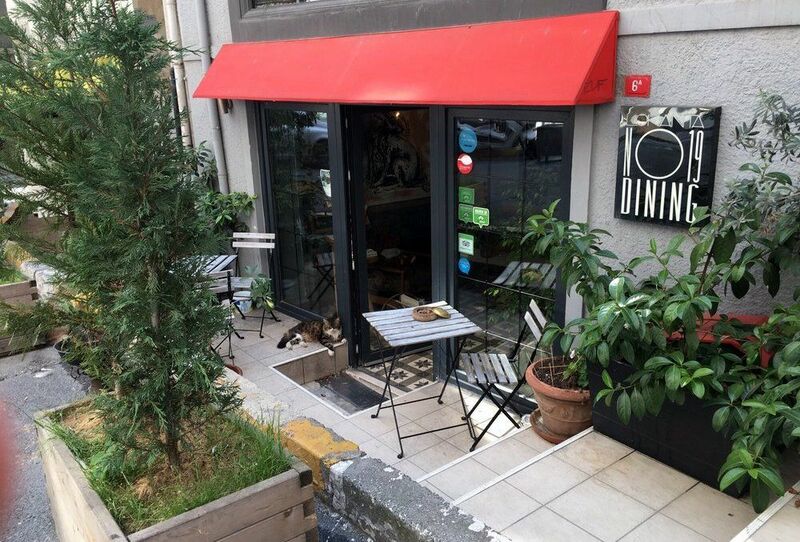 No:19 Dining is located at Cukurcuma and its chef is a half Turkish and half Syrian citizen named Aylin Jabbulique. The place offers a warm and sincere atmosphere and you can try main courses such as chicken with cilantro, islim kebab (lamb stew with vegetables), chicken curry or imam bayildi. 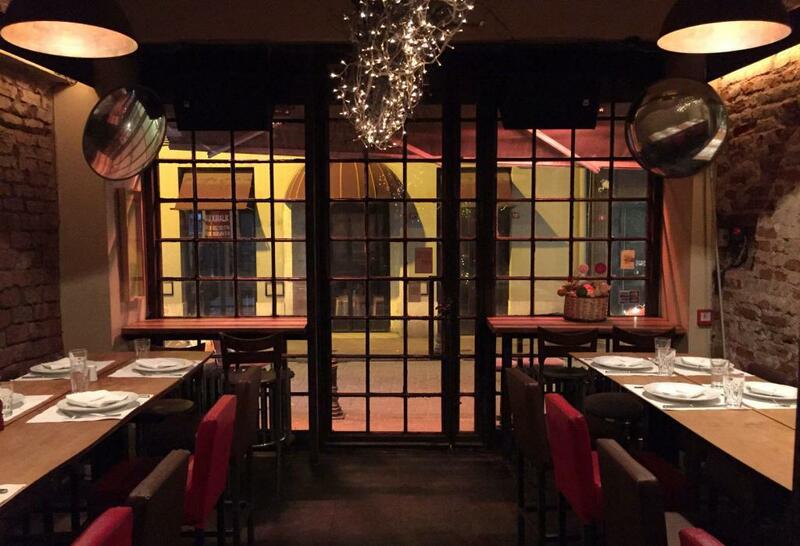 Additionally, you can also taste appetizers from the Arab kitchen at No:19 Dining. And if you are a vegetarian, there are dishes you can find in its vegetarian menu. However, whatever you choose to eat here, we recommend everyone to try a special cheese dessert from Syria which is made with cheese, semolina, and the aroma of three different flowers from Syria.